The classic Superstar silhouette has been a staple in Hip Hop and the sneaker culture since its inception, and adidas Originals now introduces a cozy suede variation of its iconic sneaker. In seemingly one of its best adaptations to date, the shoe features a premium suede upper body available in blue, green, black, and red colorways. “Continuing the year of the Superstar,” Adidas tweeted on March 14. The trademark shell toe, three stripes, sole and heel comes in crisp white while the shoe is complemented with tonal laces. The tongue includes some gold branding that adds an elegant radiance to the shoe. 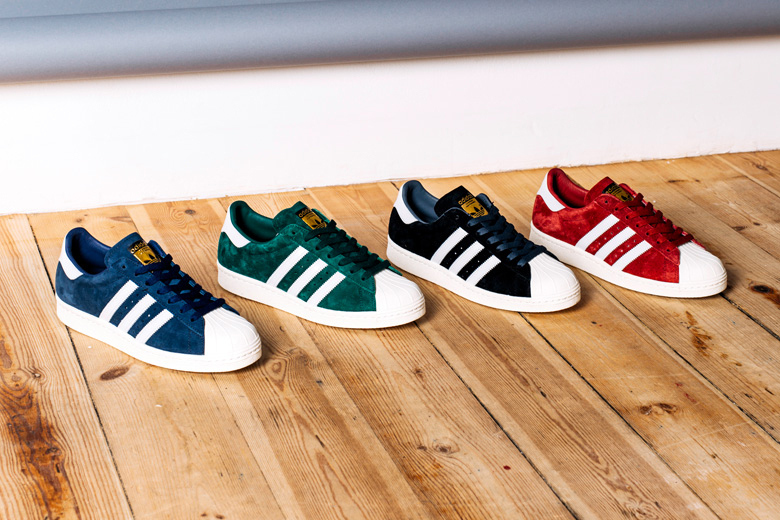 The adidas Originals Superstar Suede Classics pack will be available beginning April 1 at select adidas retail stores.